In the song, Martin tells the story of two lovers enjoying a moonlit evening in the picturesque Italian city on the Mediterranean Sea. Although it’s late and he must say “goodnight,” he promises to buy a ring for her early the next day. Written by the team of Peter De Rose and Carl Sigman, “Buona Sera” — which means “good evening” in Italian — was originally made famous by Louis Prima and His Orchestra in 1956. Two years later, it would be covered by “The King of Cool” and legendary member of the “Rat Pack,” Dean Martin. Although he was born in Steubenville, Ohio, Martin always embraced his family’s heritage. His dad was born in Italy and his mother was Italian-American. 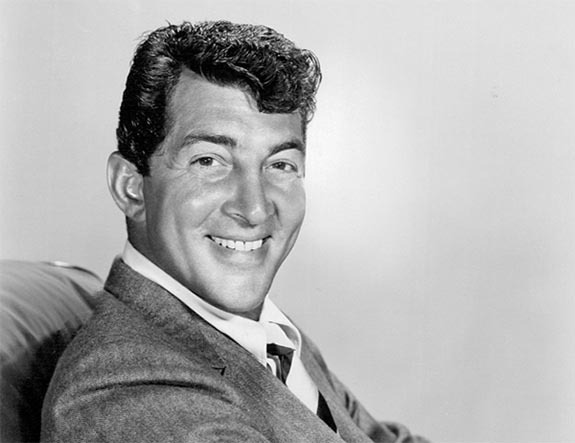 With its Italian lyrics and descriptions of Napoli (Italian for Naples), “Buona Sera” was a natural fit for his 1958 album, This Is Dean Martin. Born Dino Paul Crocetti in 1917, Martin’s first language was Italian and he didn’t start learning English until he entered school at the age of five. His lack of English skills made him a target of neighborhood bullies. He dropped out of school in 10th grade because he believed he was smarter than his teachers. The teenager made ends meet by bootlegging liquor, working in a steel mill and dealing blackjack at a speakeasy. He also became a welterweight boxer. Martin moved to New York City, where he worked as a croupier in an illegal casino behind a tobacco shop. He called himself “Dino Martini” and started singing for local bands. He got his first big break working for the Ernie McKay Orchestra. Martin passed away on Christmas Day 1995 at the age of 78. In 1996, Ohio’s Route 7 through Steubenville was rededicated as Dean Martin Boulevard.